I have memorized every creak in my house, a twister champion has nothing on me. I Tip toe as high as a ballerina in her first major performance. I stop and listen as I make it to the last step; Yes!! I made it without her waking up! My stomach dares to make hungry noises – I grab a piece of fruit; peaches have been my favorite lately – And I am ready for my two hour “follow up” marathon before my little one wakes up.. Ooh… the momprenuer diaries! You are reading, momprenuers of CNY second blog in the series of five. In July, I featured my good friend and Personal Trainer, Hannah Salomon – you can read that blog here. 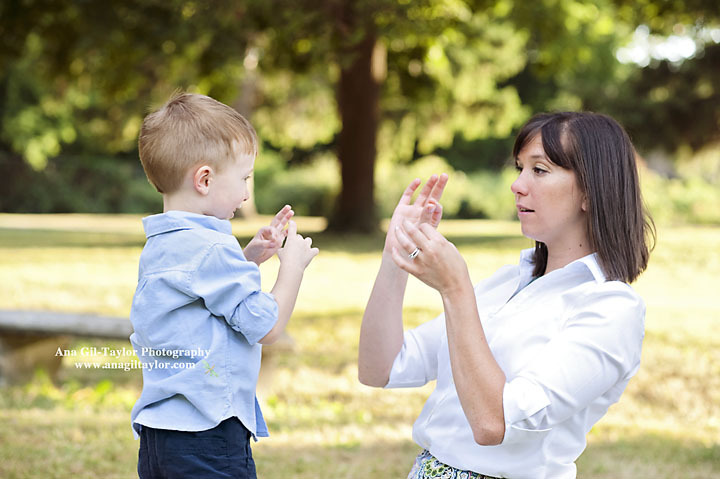 This month I am featuring a momprenuer who has her time well balanced between work and life. 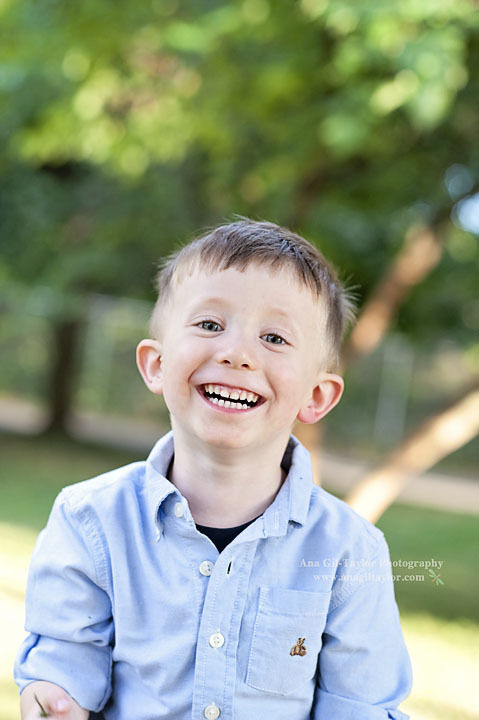 Our behind the scenes photo shoot was at 8:45a – time chosen by her- and her house was spotless, two of her boys were already at camp and her youngest one was dressed and fed!! AND she looked as vibrant and graceful as one of her designs. What in the world!? Who is this momprenuer? Annie Taylor from Annie Taylor Design a designer who has mastered the use of pastel colors and typography, to bring all of us pastel lovers, beautiful designs. I got to see how Annie makes things happen! Surrounded by her two 4 legged children and her youngest human. It was so familiar to experience her behind the scenes as she tried to work around her little one. She would start working on something and had to start and stop numerous times to help her little one with something, eventually she got it done. One aspect of Annie’s business philosophy I love most is her gentle encouragement to keeping hand-written cards/notes alive. I LOVE writing cards/notes as well as receiving them. My day gets extra bright when I receive a hand-written note from my customers telling me they love their family portraits. Here is a picture of some of my daily dosage of love. It is an instant, pick me upper. 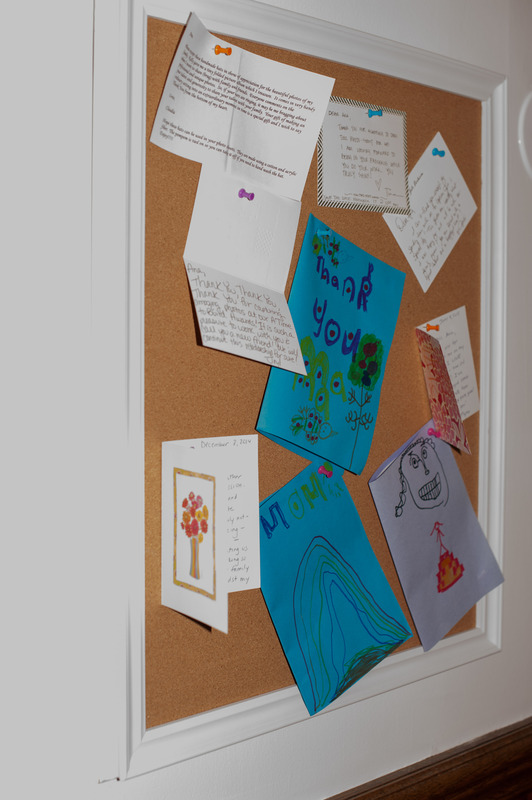 When was the last time you mailed a handwritten note? 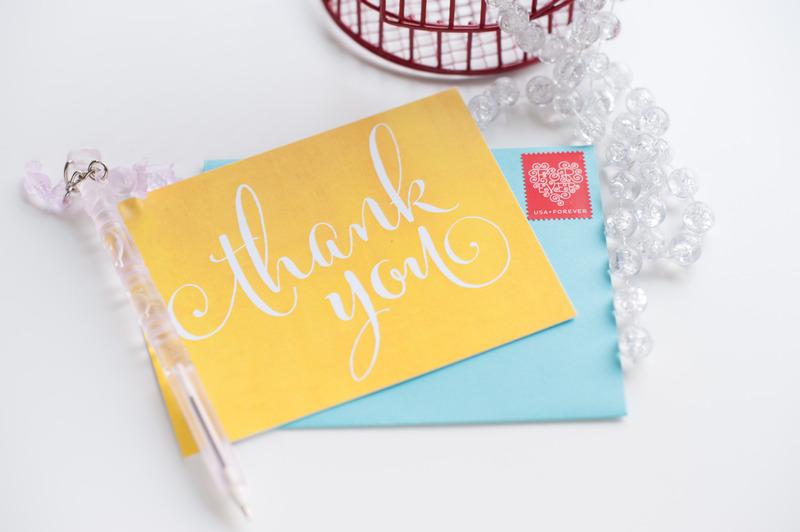 When was the last time you received a handwritten note? Isn’t that a wonderful feeling? So simple, yet so impactful. I always look for reasons to write notes, and reasons are plenty! I had Annie custom design Thank You cards for me using my favorite pastel colors. I get my favorite stamps, my favorite pen and away I go writing thank you and birthday notes. Hope you have enjoyed this blog post. Thanks for reading! 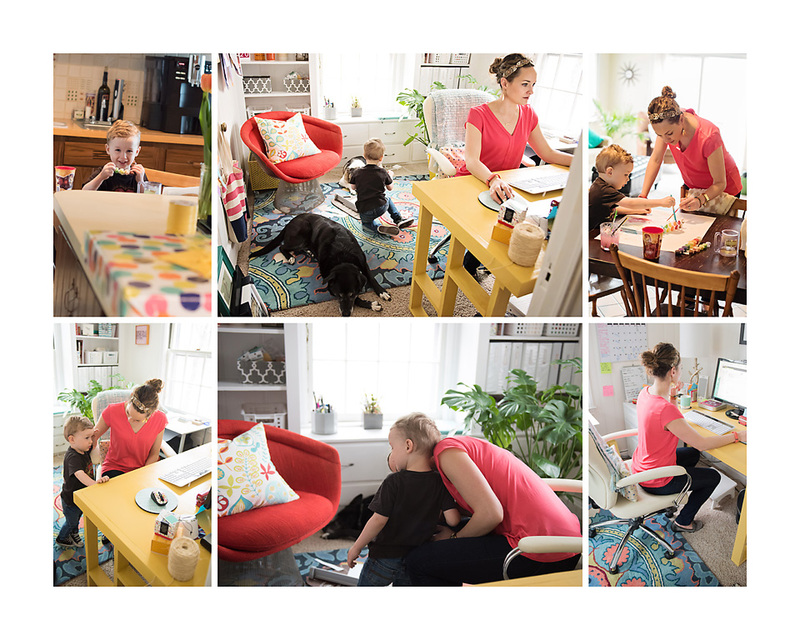 Stay tuned for our video interview with Annie Taylor where she will share with all of us moms and momprenuers, how she manages to keep a happy business and a happy home while still taking care of herself (because let’s face it, that balancing act is the toughest!). She may also teach us a thing or two about dressing up your hand-written cards/notes! Remember to subscribe to be notified when the live interview is posted! PS: We have our famous ONE portrait for Christmas special coming up soon. Please subscribe and/or send us an email to be notified when the schedule is all set so you can join in the fun!. Feel free to visit Annie Taylor Design to see more of her work. It is almost time! The time some of us wait 364 days for, the time when happiness and grouchiness can happen simultaneously. The time when wallets are full but empty at the same time. The time where hope and dreams seem to grow bigger, due to a bright new year. The time where we can eat so many cookies and food and not worry about gaining weight, because come January 1st, we are going to promise to lose them in the first week! Ha! But truly, the best part of the holidays—besides spending time with my family—is receiving Christmas/New Years cards in the mail. That, to me, is the highlight of the holidays hands down. We wish you the best Christmas Eve and Day with your family and close friends. Take your cameras out and capture all the happiness around you, you will love looking at them. We have a tradition to look at our previous years pictures on Christmas Eve; we are always amazed at how much our children change in a year. We all love this great trip. 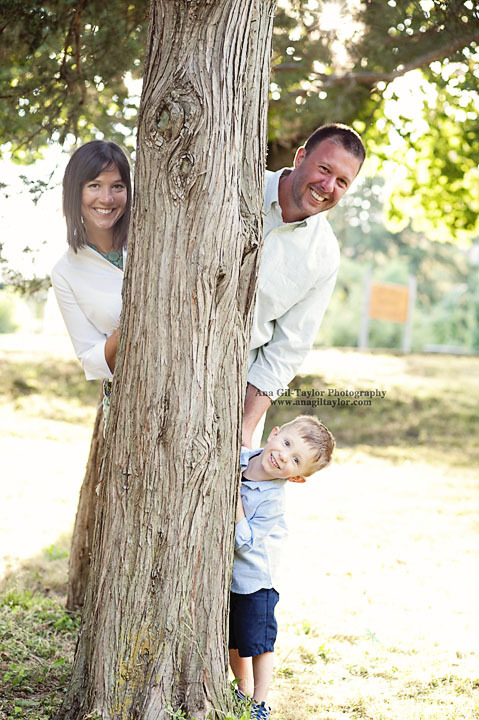 Thank you so much for trusting me/us to capture your family in photographs and your referrals, which is the most amazing present you could give us. We have some great plans in store for 2015! We are so excited to show you what we have been working on! 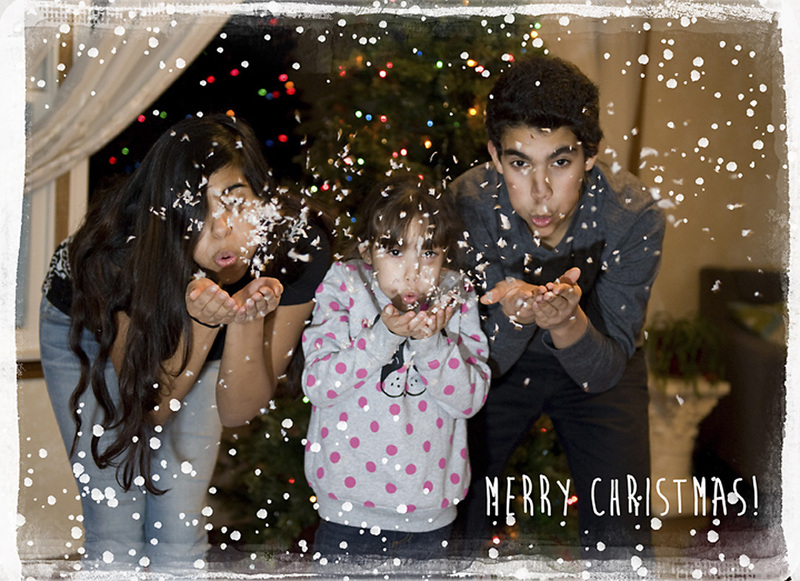 From our family to yours, Have an amazing Christmas! Ana Gil-Taylor Photography & Team. 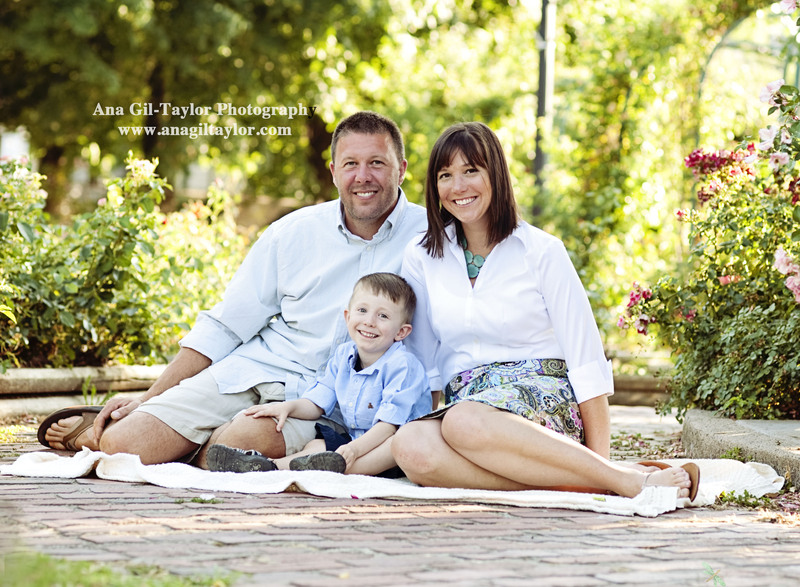 Please visit our contact page schedule your family portrait session.